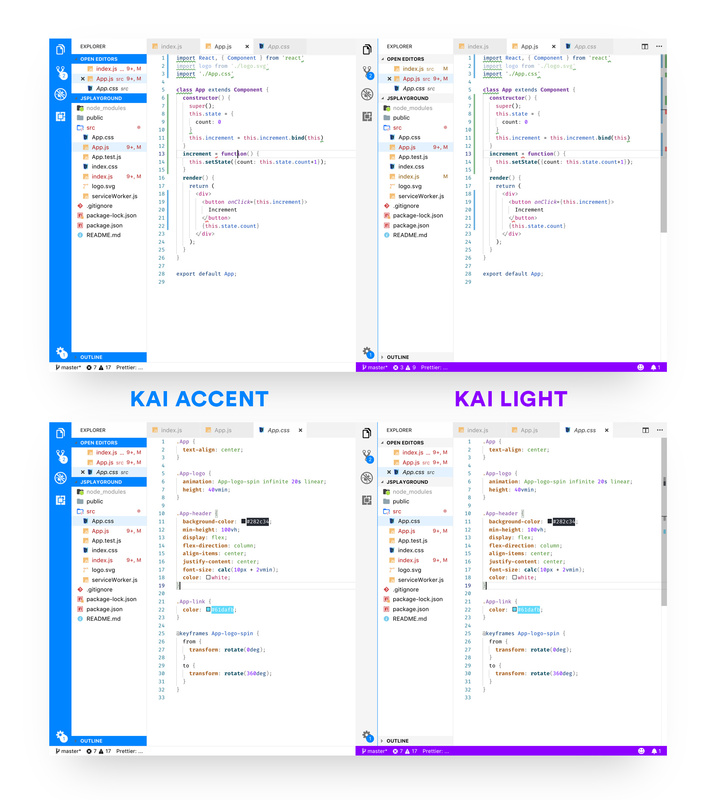 Visual Studio Code>Themes>Kai LightNew to Visual Studio Code? Get it now. A light theme that gets contrast and readability right! The tubular VS Code Theme that will blow your socks off! I developed this one for myself and it has gone a multitude of revisions in order to get to this level. It came out of a necessity to develop a system with great readability a contrast in order for light theme users to not get eye fatique. I, personally love light themes. Black on white is easier to read for me since I've always been a pen and paper kinda guy. I'm really hoping you like it.